We’ve had around 2′ of snow and, then, warmer weather. 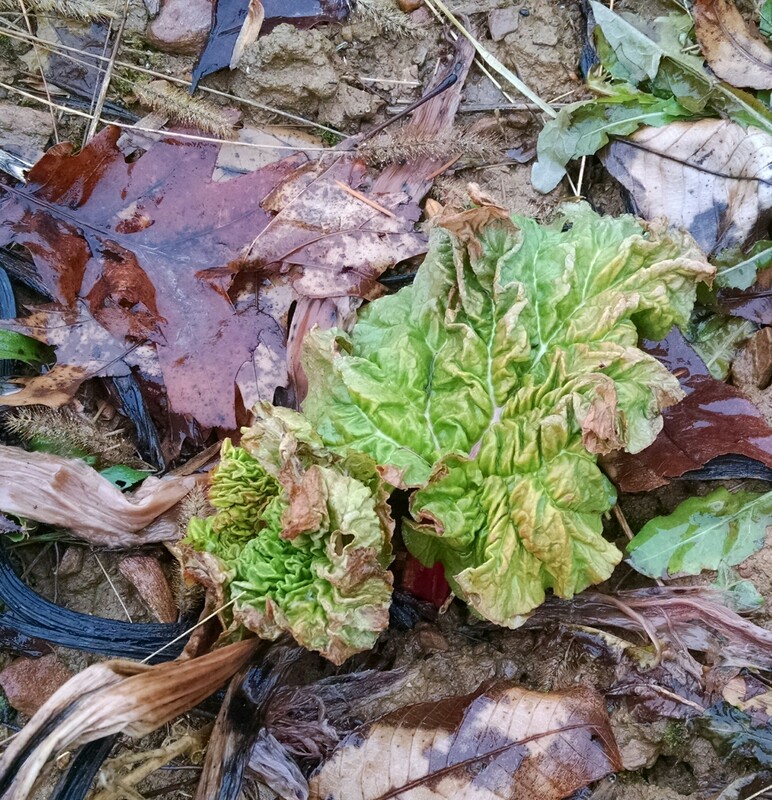 As the thaw continued, we had about 1.25″ of rain. Water is flowing. 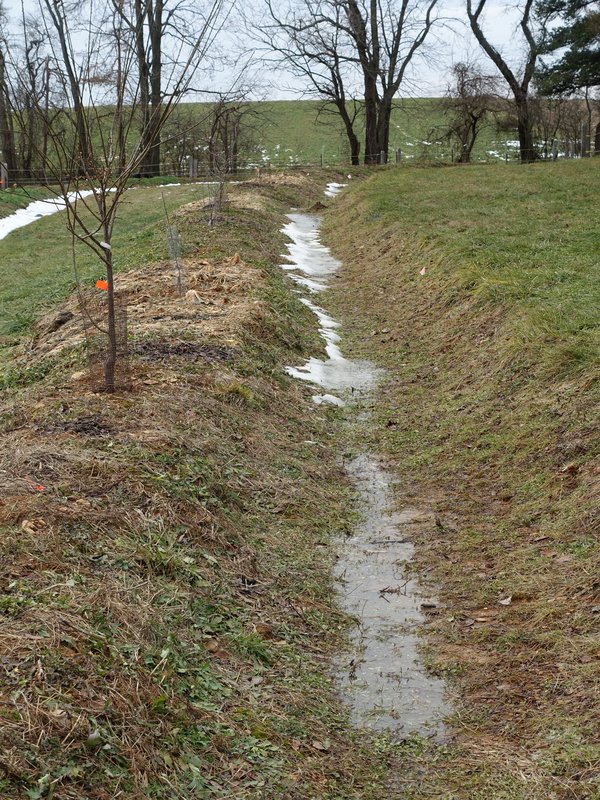 The swales in the orchard seem to capture and absorb the water effectively. None of the berms are overflowing or come near it. There are a few drainage sites that I dug last year that continue to function in part. I will consider clearing them should I find the swales are getting too full. 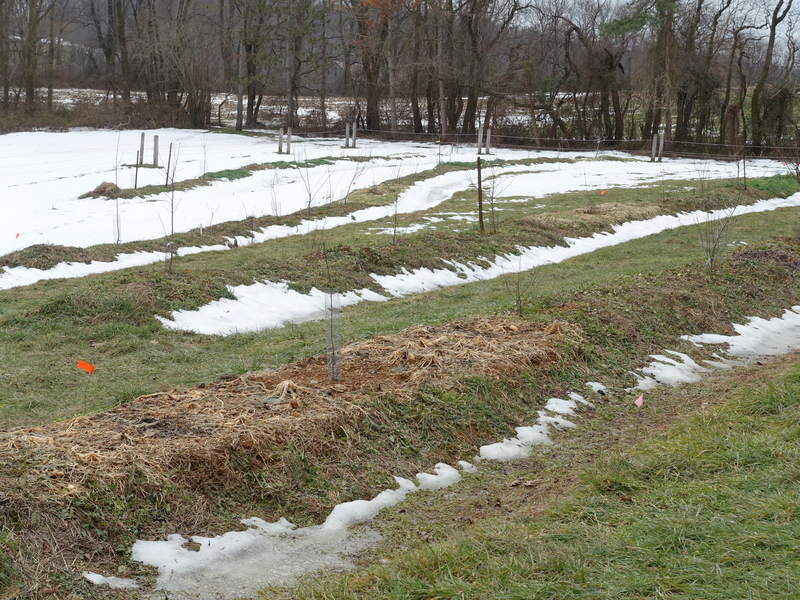 This photo shows the 1/2 acre orchard which has four swales and berms running on contour, generally, west to east. The slope faces south. 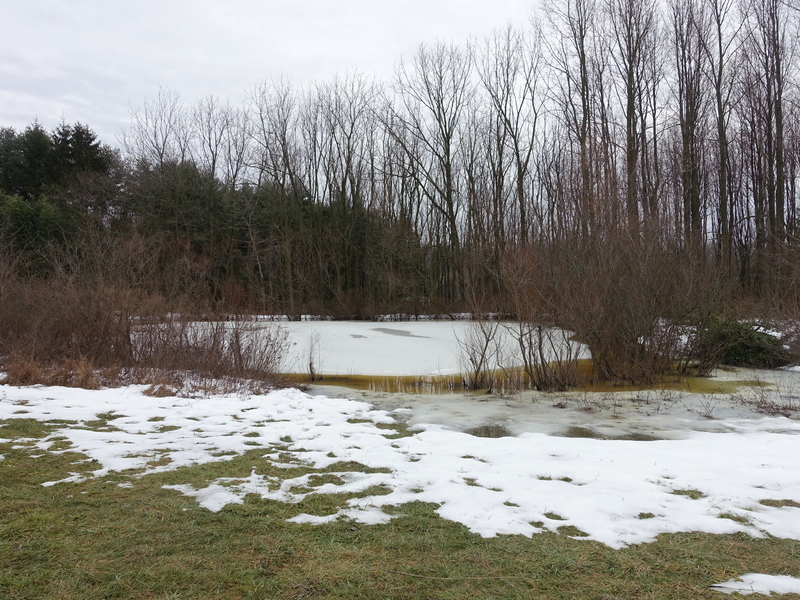 The pond is downslope from and south east of the orchard. 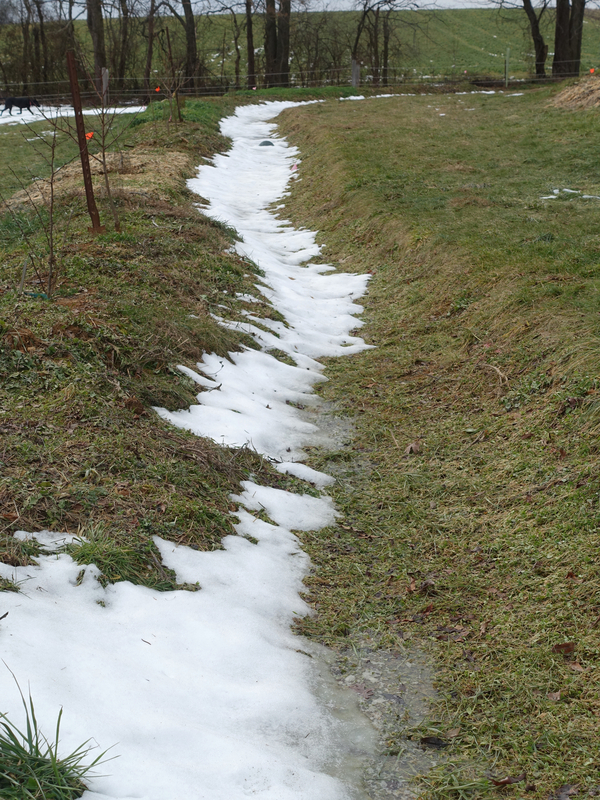 It is interesting to see the pattern of the snow/thaw on the slope. 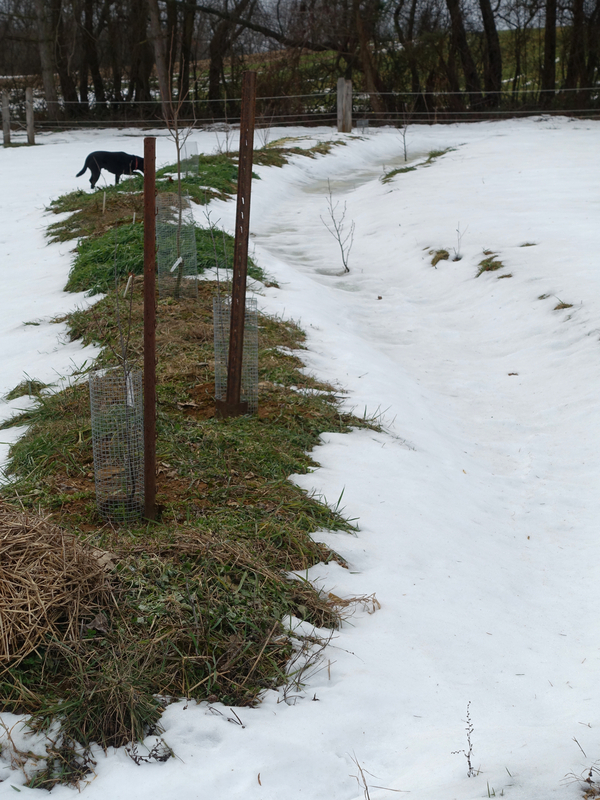 The next four photos show each swale and berm from top of the slope, north to lower on the slope, south. The trees you see planted in the swale are alnus glutinosa or common alder. 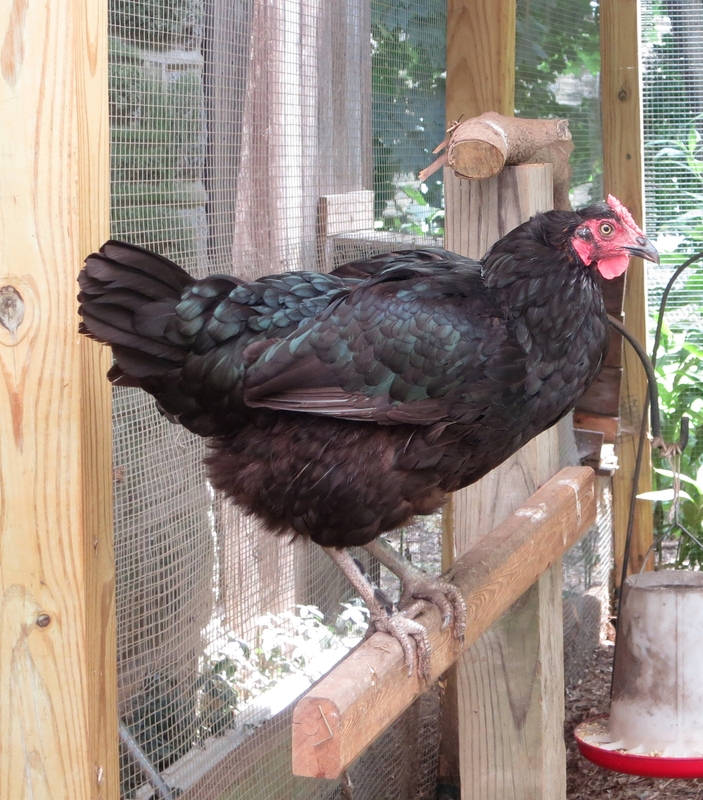 They love the moisture and excel at fixing nitrogen in the soil. This is the very full pond. And a full rainy day view from east to west, bamboo, pond and woodlot, and orchard. 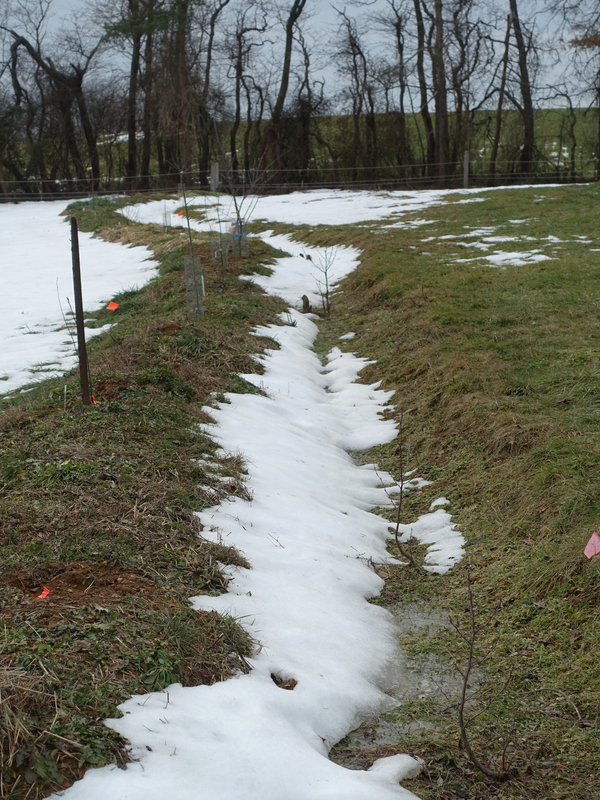 At this point, I’m happy with the swales and berms in this orchard. It is clearly a moist place especially on the south end and we’ll see how the trees tolerate the conditions. The only plants we’ve lost so far have been a few seaberries on the first berm at the top of the slope. I, also, lost some alders. They were not rooted well enough when the swales were flooding the first year. I’ve ordered some more currants, gooseberries, replacement seaberries, and raspberries to tuck in where there seems to be some extra space.